Porcelain veneers can help make your smile more uniform. Ask the team at Today's Dental in Edmonton about veneers. Perhaps your teeth have become discoloured, or perhaps they formed in a less-than-ideal shape. Either way, you wish you could transform your smile to have whiter, more uniform teeth. You can achieve that kind of aesthetic with porcelain veneers. The Edmonton team at Today’s Dental offers this treatment as an alternative to crowns, which usually require more extensive procedures. Veneers, or small sheets of tooth-shaped porcelain, bond to the front of your teeth to give you a durable, consistent smile. Porcelain veneers are the same in principle as furniture veneers, where a thin layer of rare, expensive wood is overlaid atop lesser quality wood beneath. Dental veneers are thin shells of porcelain that are placed over the fronts of your teeth to alter the tooth alignment, shape, size, and colour. Veneers provide an aesthetic solution to various tooth imperfections. At Today’s Dental, we only use porcelain for our veneers because its appearance closely resembles that of natural tooth enamel. Keep in mind that veneers do not give you a permanent solution. They last many years and can endure any food you bite or chew, but they may need replacement someday. Why Do You Use Porcelain? Some dentists offer composite resin veneers, but at Today’s Dental we use only dental porcelain. Our dental staff likes the high strength, hardness, glassiness, durability, and high resistance to staining that porcelain provides. Also, its translucence very closely resembles natural tooth enamel in the way it absorbs and reflects light. Having porcelain veneers placed on your teeth requires two appointments with the team at Today’s Dental. 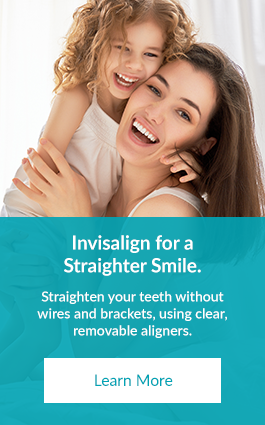 During your first appointment, your teeth are prepared for the veneers. First, we thoroughly clean all your teeth to return them to their natural color, important when matching the porcelain color of your veneers. Next, we prepare the teeth to receive the veneers. This involves shaving a tiny amount of the enamel from the front of the teeth (from 0.3 mm to 0.5 mm). This makes room for the veneers on the front side of each tooth. When this process is complete, we take impressions of your teeth and we choose the porcelain color that matches your natural tooth color. We send this information off to the dental lab for the fabrication of your custom veneers. This takes one to two weeks, so we place temporary veneers on your teeth in the meantime. When your custom veneers are ready, you return for your second appointment. We first check the fit and color match of each veneer. If necessary, we will shave a bit off here or there. Once satisfied with the fit, the veneers are permanently cemented onto your teeth and you’re ready to show the world your new smile. The placement of veneers is a permanent decision. This is because we shave off a portion of your tooth enamel to make room for the veneers, so those teeth will always need to be covered with veneers. Veneers generally last anywhere from seven to 20 years. This sounds like a wide range, but their lifespan is dependent upon the health of the underlying teeth and gums. When your veneers reach their lifespan, it will be necessary to have another set made and placed onto your teeth. If a veneer does come off for some reason, in most cases it can be reattached. Do I Need to Provide Special Care for My Veneers? Porcelain veneers don’t require any extra care; brushing twice daily and flossing is all that’s needed. It’s important to be diligent with your hygiene, as the health of the underlying teeth directly affects the longevity of your veneers. The cost of your veneers is directly related to how many teeth you choose to cover. For instance, if you have a single tooth that has turned grey due to trauma, you may only need a single veneer. During your consultation, we can give you a clear estimate of the cost of your veneers. How Are Veneers & Crowns Different? Crowns are a more fundamental tooth restoration. A crown usually covers the entire tooth surface above the gum line. Crowns are used to restore function to teeth that are heavily decayed or have an extensive chip or crack. Crowns are also used as the abutment anchors for bridges that replace missing teeth. In contrast, porcelain veneers do not strengthen teeth or restore function; they simply cover up cosmetic issues. It is important to note that porcelain veneers are a cosmetic solution to tooth flaws. They don’t correct underlying problems such as decay. Any serious issues with the health of the teeth need to be addressed before the veneer procedure can begin.